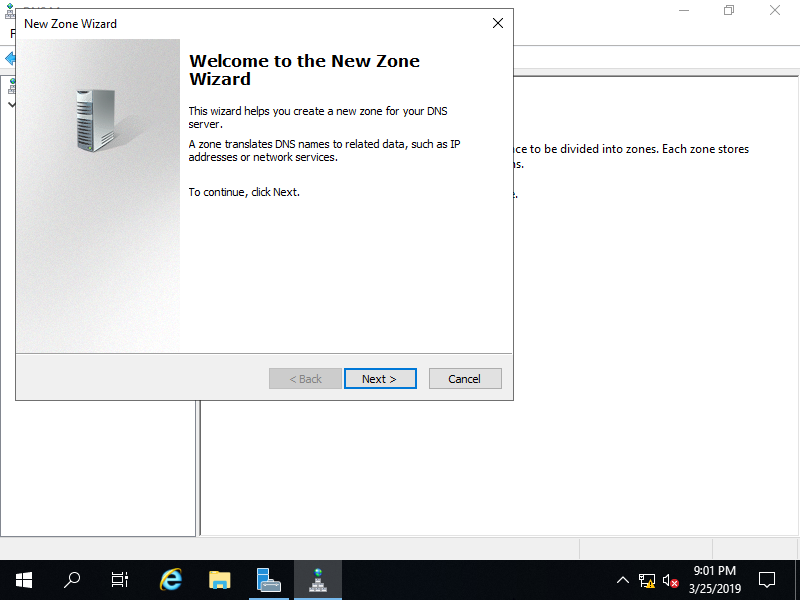 Configure Stub Zone, that has only SOA, NS, Glue Records. 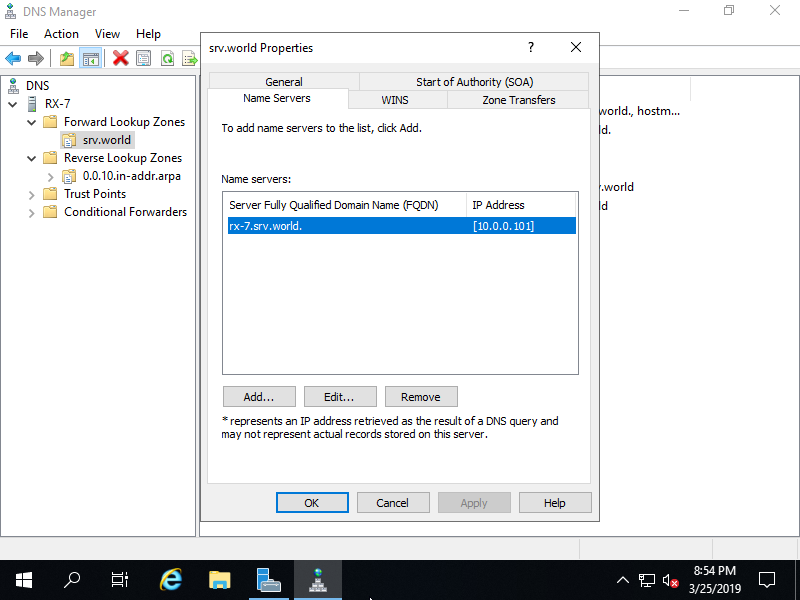 By default, Name-Servers that are added in each Zone setting on DNS Master Host are the allowed Hosts to be transfered Zone files. 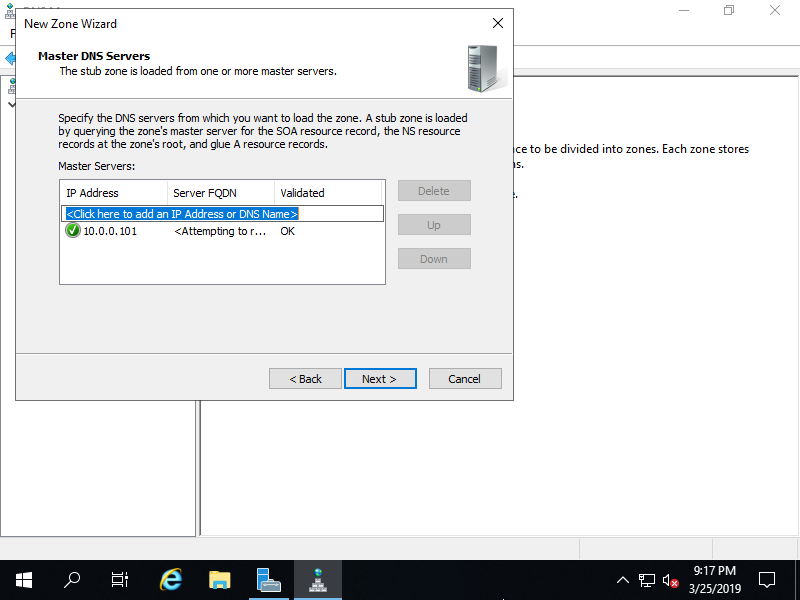 So Add DNS Stub Host on Name-Server setting on DNS Master Host first. @                         NS         2          0                    01:00:00        rx-8.srv.world. @        NS         2    0         01:00:00   rx-8.srv.world. 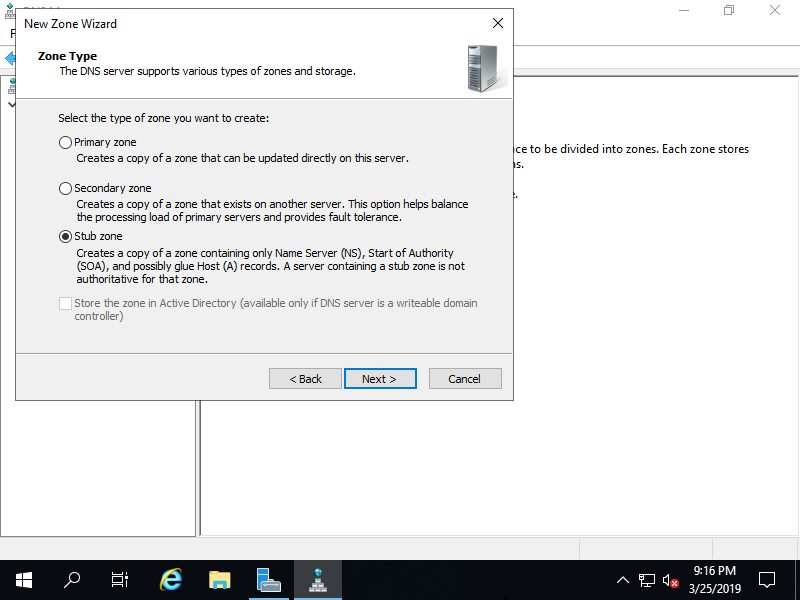 On DNS Stub Host, Configure Stub Zone. 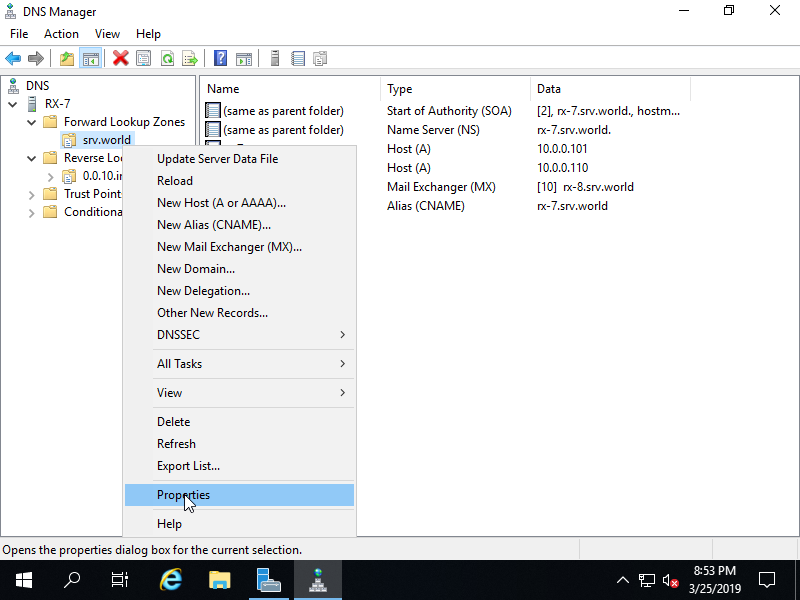 Before it, Install DNS Server feature on Stub Host, too. 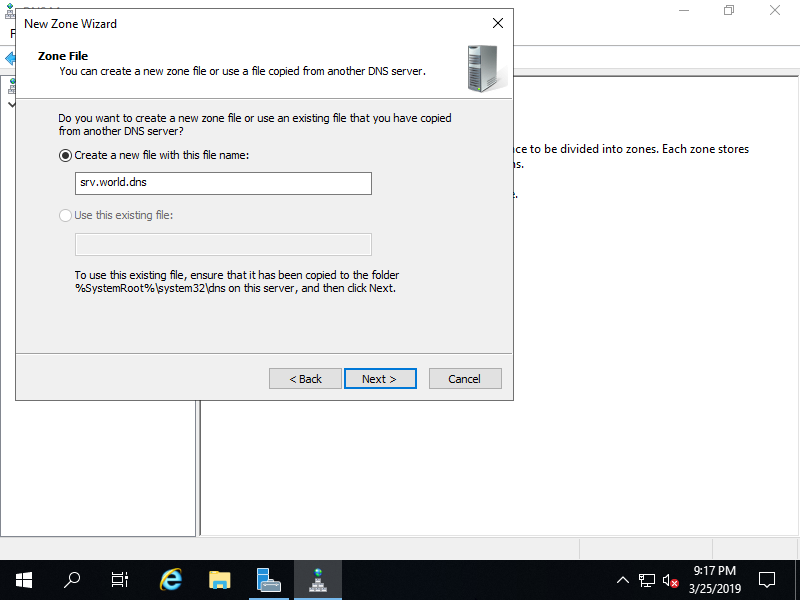 Configure on DNS Master Host. 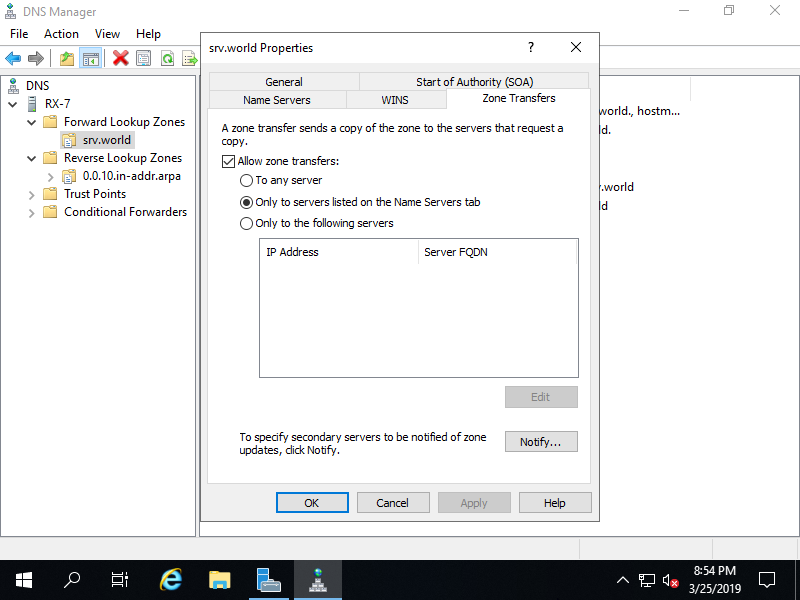 Run Server Manager and select [Tools] - [DNS], next right-click the zone name you'd like to add stub zone and select [Properties]. Move to [Zone Transfers] tab, then it's possible to see the setting like follows. 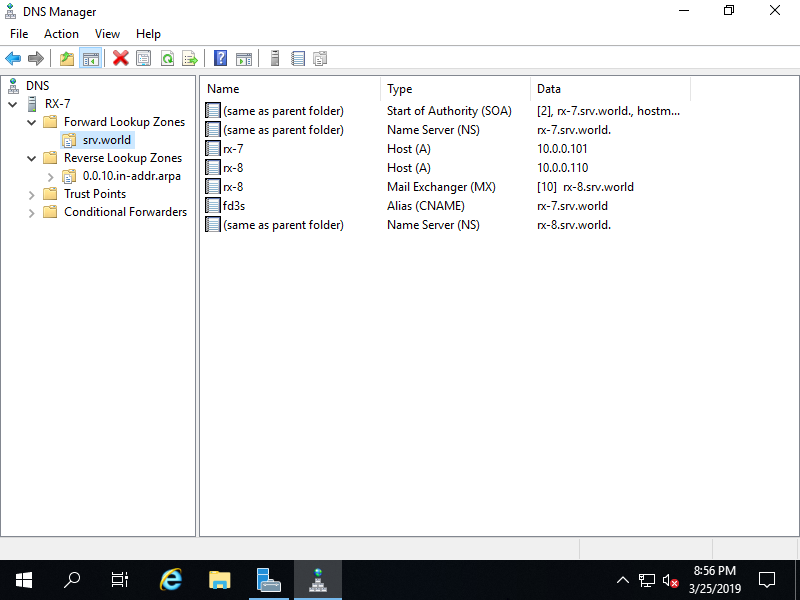 Move to [Name Servers] tab. 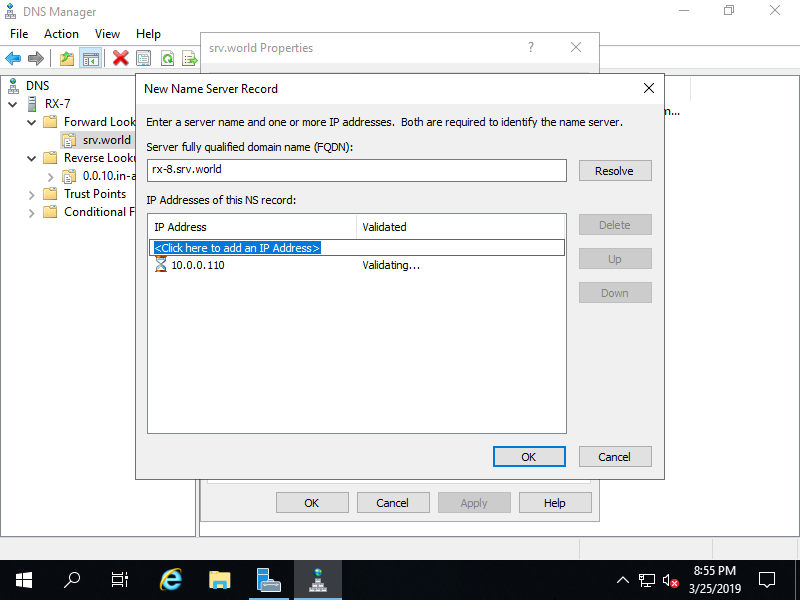 Input Hostname and IP address of Stub Server and Click [OK]. Name Server has been added. 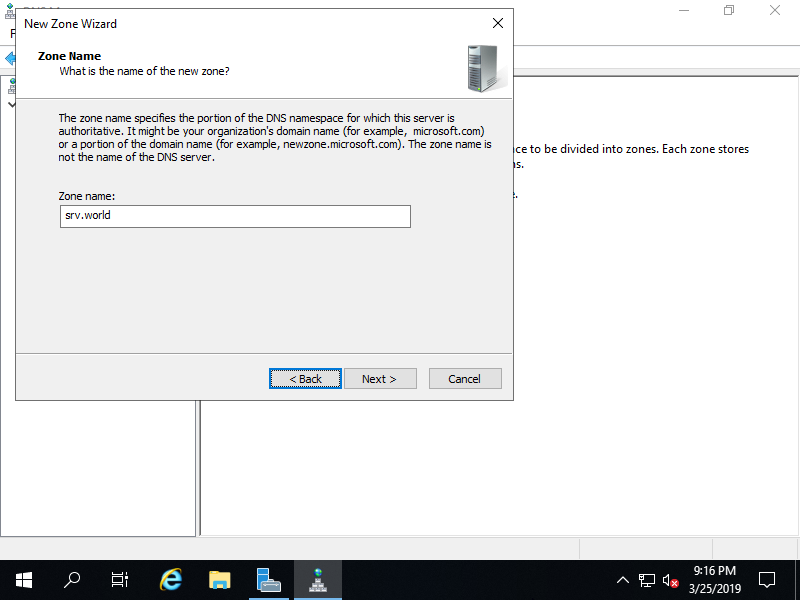 next, Move to DNS Stub Host. 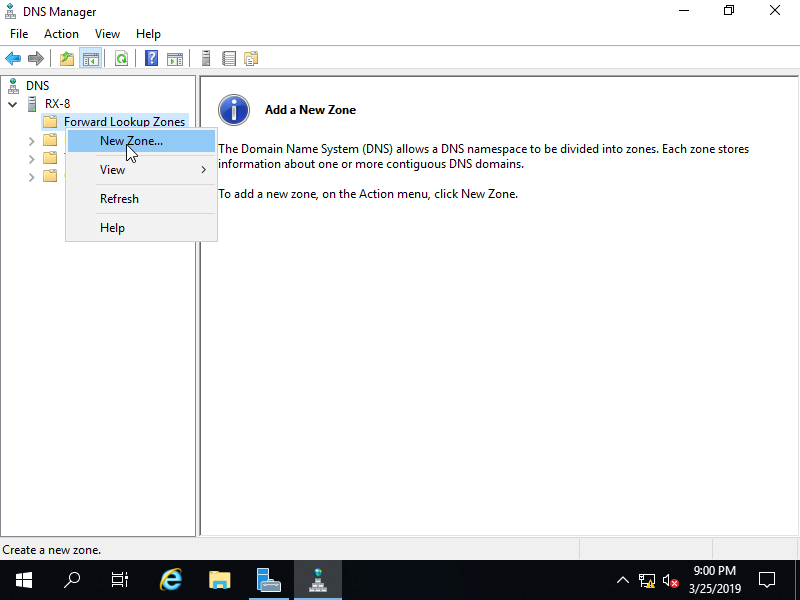 On DNS Stub Host, Run Server Manager and select [Tools] - [DNS], next right-click the zone you'd like to add stub zone and select [New Zone...]. Check a Box [Secondary zone] and go [Next]. Input a zone name you'd like to add stub zone and go [Next]. 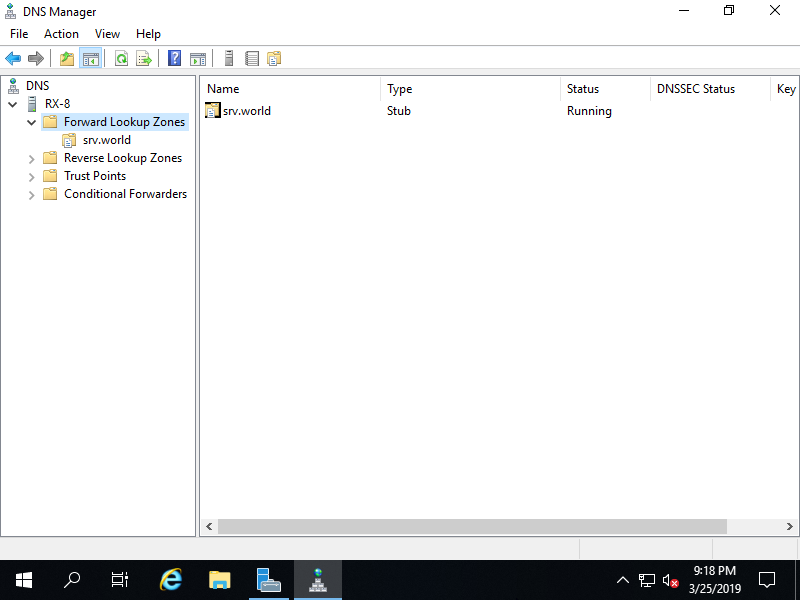 Specify zone-file name and go [Next]. Input DNS Master Host's IP address and go [Next]. 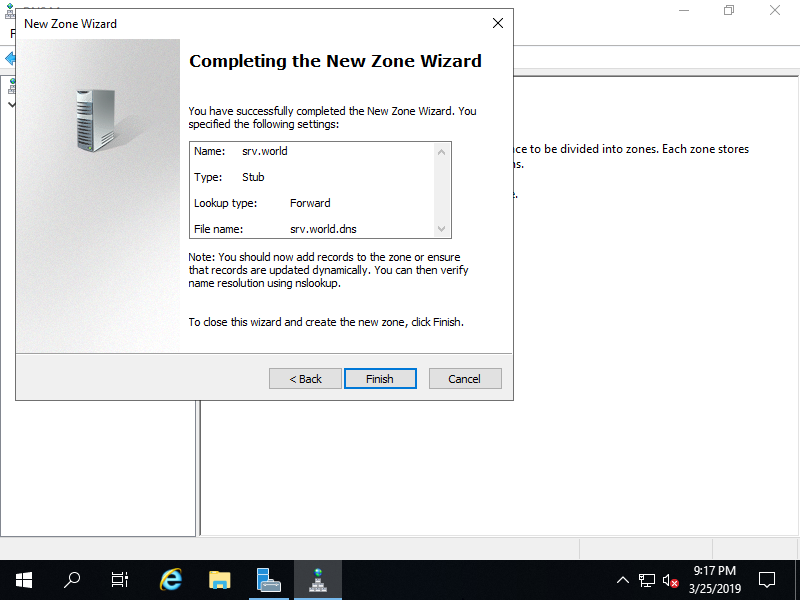 Zone files are transfered and configured as Stub Zone.